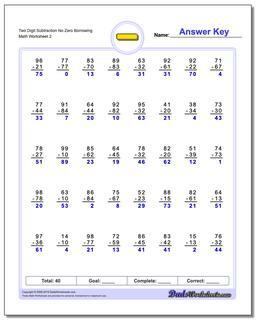 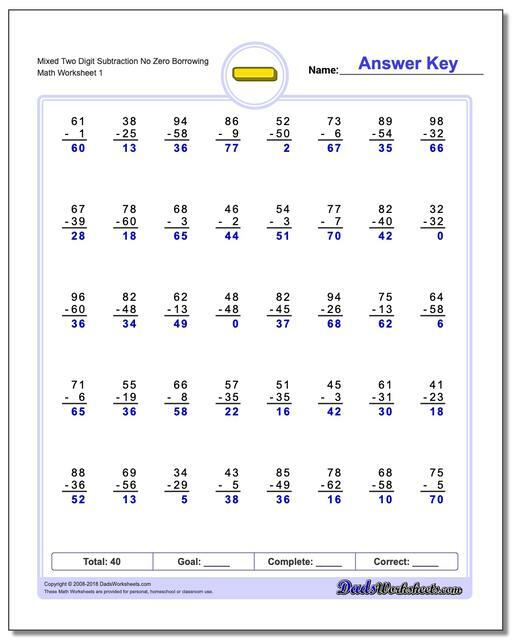 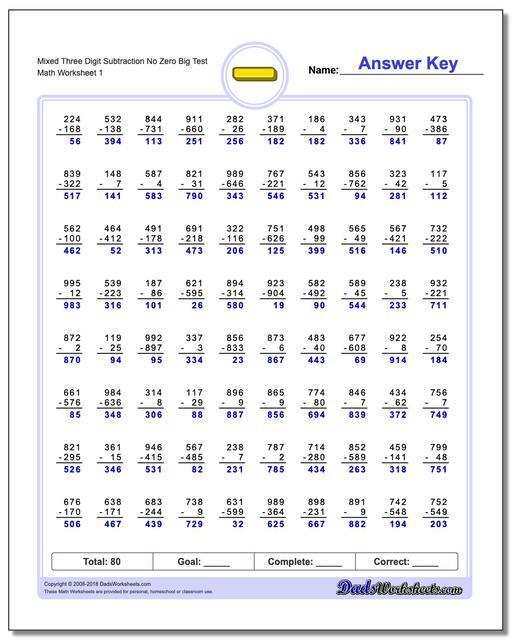 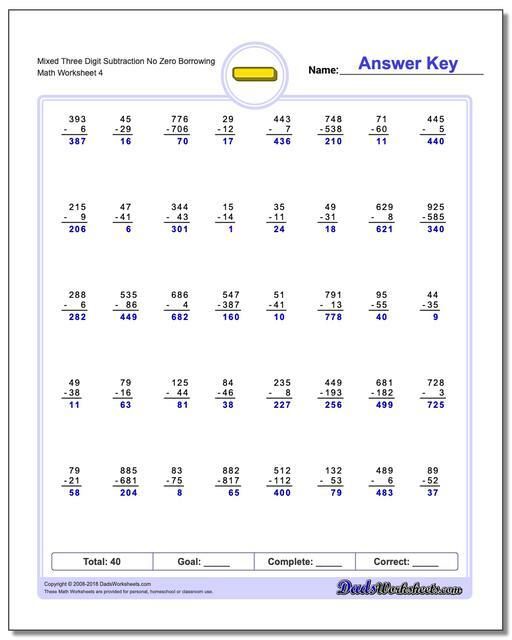 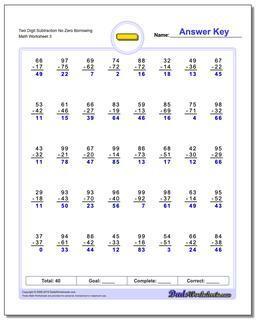 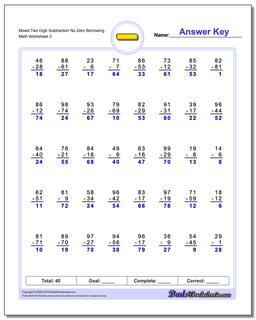 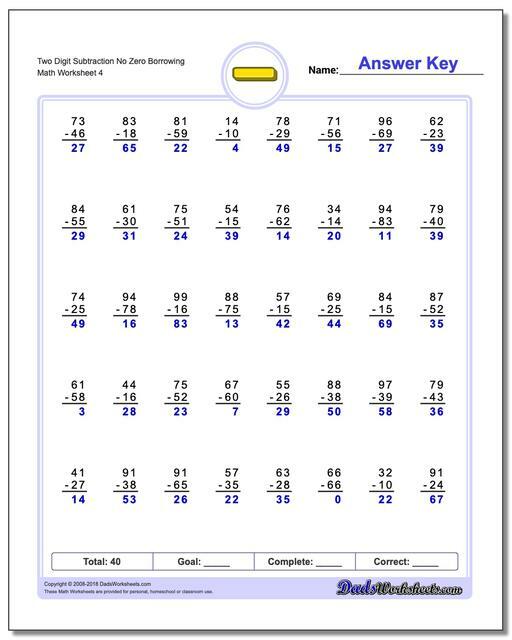 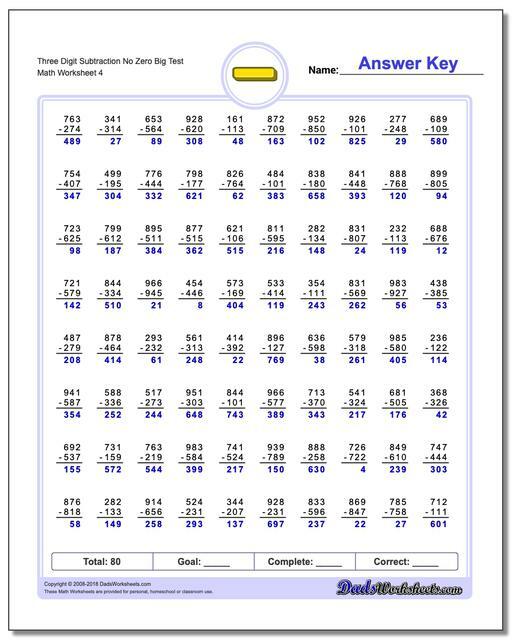 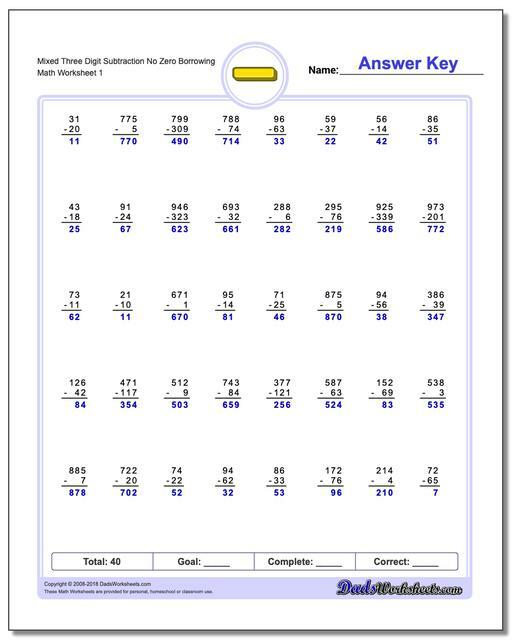 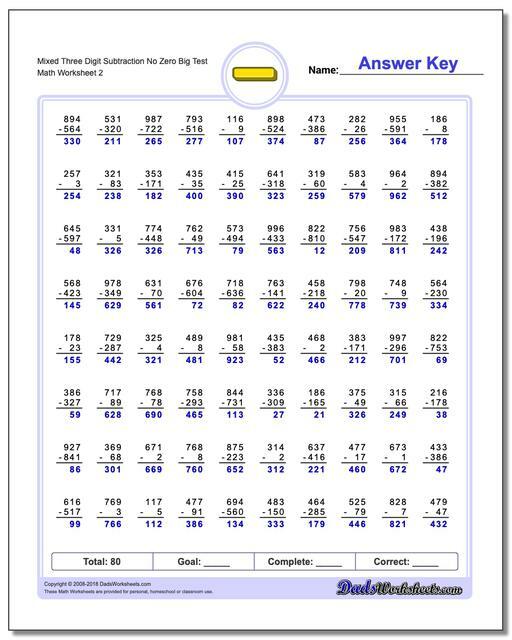 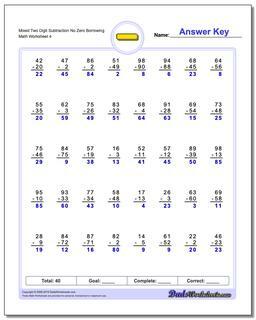 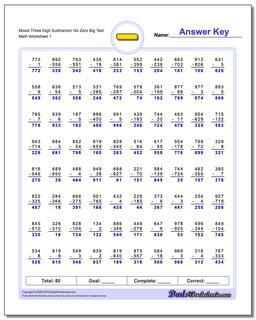 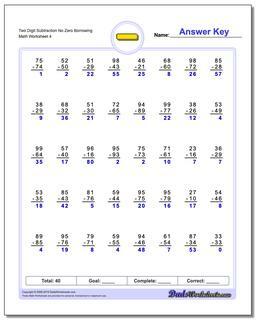 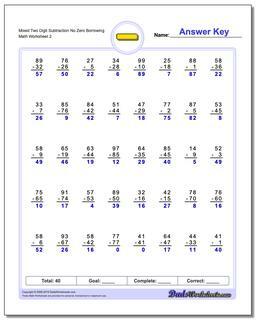 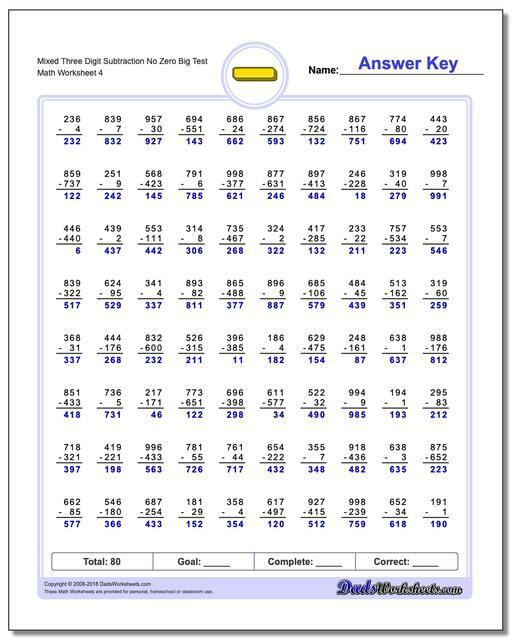 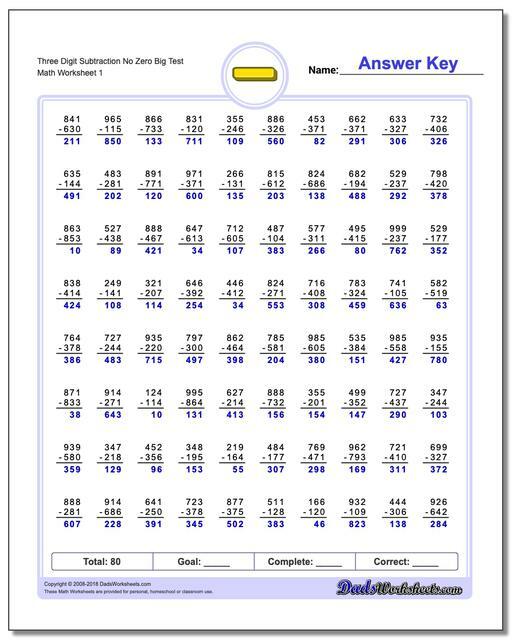 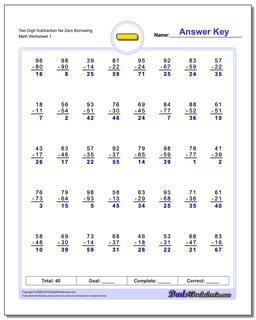 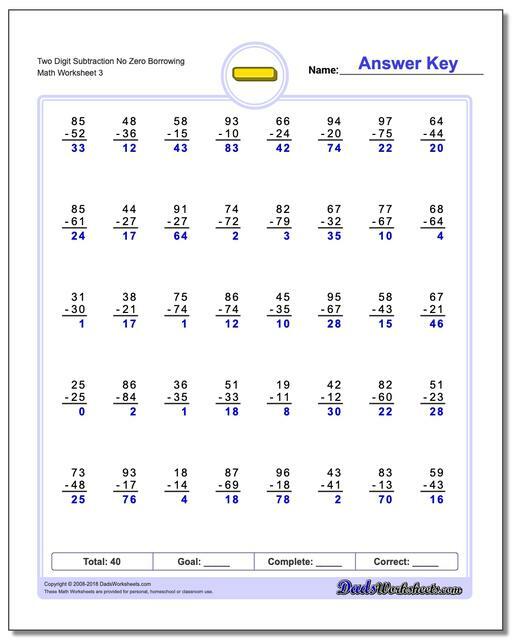 These worksheets are the next step in learning multiple digit subtraction. 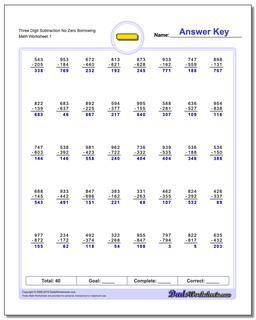 These multiple digit subtraction worksheets introduce borrowing (regrouping), but not borrowing across a zero. 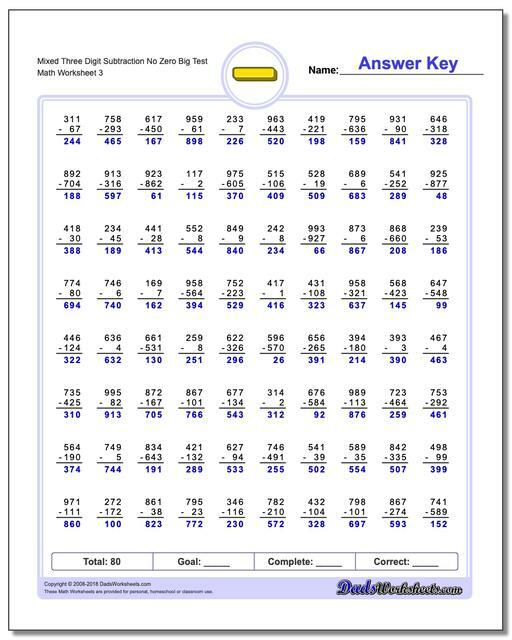 These are the first subtraction worksheets that introducing regrouping (what used to be more commonly known as subtraction with borrowing).The easiest type of regrouping involves taking from the place value to the left of the digit being subtracted as you are working the problem. 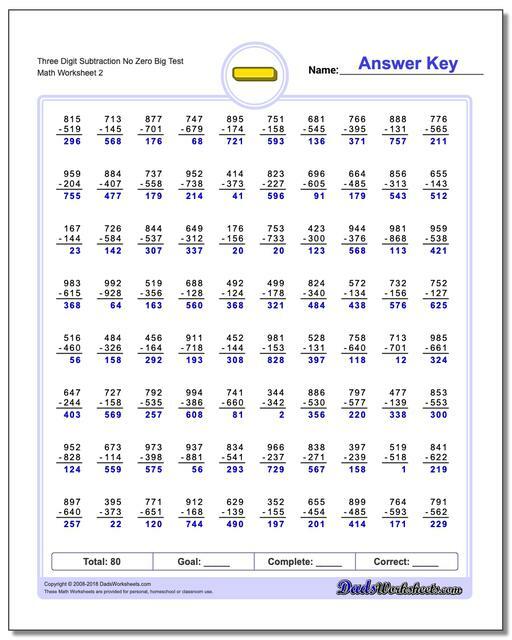 In cases where this digit is a zero, it's necessary to borrow from an ADDITIONAL digit to the left, which makes the borrowing/regrouping step somewhat more complicated. 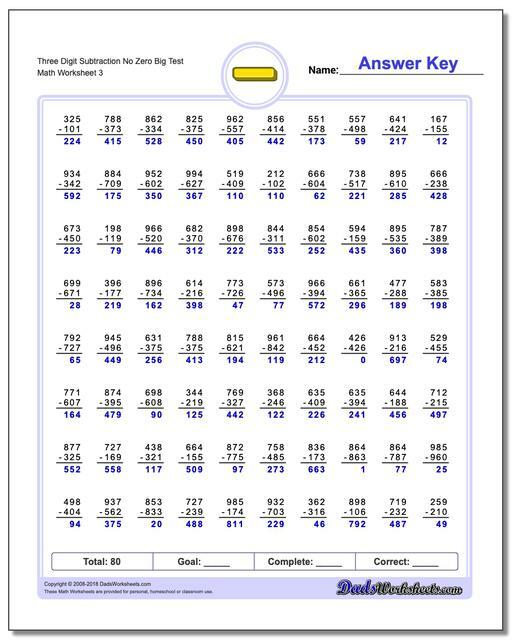 These worksheets include multiple digit subtraction problems that do not require borrowing or regrouping across an additional zero, which makes them a somewhat gentler introduction to advanced subtraction.